Approximately 2 million patients are treated for this condition every year. In most cases, plantar fasciitis develops without a specific, identifiable reason. More than 90% of patients with plantar fasciitis will improve within 10 months of starting simple treatment methods. Many treatment options exist, including rest, stretching, strengthening, change of shoes, arch supports, orthotics, night splints, anti-inflammatory agents and surgery. NSAIDs like aspirin, ibuprofen, etc. are a good treatment for plantar fasciitis. Very often, doctors will prescribe Non-Steroidal Anti-Inflammatory Drugs such as aspirin and ibuprofen, and the reason is that they believe long-term plantar fasciitis is a result of inflammation. But the most current research shows that this really isn’t true. Since the origin of the problem isn’t what the doctors believe it to be, naturally NSAIDs can’t do much to help. The Achilles tendon is the most commonly injured tendon. Rupture can occur while performing actions requiring explosive acceleration, such as pushing off or jumping. The Achilles tendon is the strongest and thickest tendon in the body, connecting the gastrocnemius and soleus to the calcaneus. It is approximately 15 centimeters (5.9 inches) long and begins near the middle portion of the calf. Most cases of Achilles tendon rupture are traumatic sports injuries. The average age of patients is 30–40 years with a male-to-female ratio of nearly 20:1. Those who suffer this injury are typically “weekend warriors” who are active intermittently. The length of time to allow full activity after Achilles tendon repair is generally thought to be four to six months. Currently, it’s thought that operative treatment yields the best functional outcome for active patients. Intra-operatively, the appropriate resting tension of the tendon should be restored. Unfortunately, this is difficult to assess because there is no objective way to predict the actual resting tension of the tendon. The treatment of acute Achilles tendon ruptures varies, and there is no uniformly accepted algorithm of care. Management ranges from nonsurgical to percutaneous, mini-open, and formal open repair methods. In general, studies show lower re-rupture rates and better functional outcomes with surgical repair than nonsurgical management. Runners are often advised to rest from exercise for varying periods when Achilles problems strike. As inflammation needs time to develop after the stressful activity has occurred, typically the pain will often not be felt for several hours after the activity, classically on getting up the following morning. If inflammation is the problem, a few days rest will settle symptoms but the pain is likely to recur if the training is not modified. Take a look at Christian Olsson, the Swedish triple jumper. His ability to translate speed on the runway to the jumps seems more likely to be due to fantastic elasticity in his tendons than massive strength from his fairly skinny legs. The secret may well lie in the elastic fibers contained within the tendon. After all, the kangaroo’s secret is not extreme power coming from its muscles but rather relates to the elasticity of its tendons. Peripheral neuropathy is pain in the nerves of the arms or legs. It most commonly affects the legs. Polyneuropathy accounts for the greatest number of peripheral neuropathy cases. 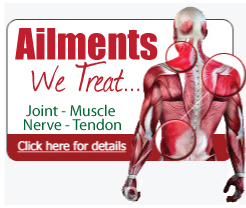 It occurs when many peripheral nerves throughout the body malfunction at the same time. Polyneuropathy can have a wide variety of causes, including exposure to certain toxins, poor nutrition (particularly vitamin B deficiency), and complications from diseases such as cancer or kidney failure. One of the most common forms of chronic polyneuropathy is diabetic neuropathy, a condition that occurs in people with diabetes. It is the result of poorly controlled blood sugar levels. Isn’t neuropathy only found in people with diabetes? No. While neuropathy is common in diabetic patients and is popularly associated with diabetes, neuropathy affects chemotherapy recipients, those suffering from injuries or illness, people who have lost limbs, even sufferers of common minor ailments such as carpal tunnel syndrome (CTS). If you feel pain, even if you’re not diabetic, neuropathy could be the cause. It is important that conservative treatments (such as those listed above) be performed for AT LEAST a year before considering surgery. Time is important in curing the pain from heel spurs, and insufficient treatment before surgery may subject you to potential complications from the procedure. Every mile you walk puts 60 tons of stress on each foot. 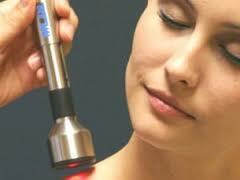 The first treatment step is avoiding activities that aggravate symptoms. For example, take a few day off jogging or prolonged standing to try to rest the painful foot. Icing will help diminish some of the symptoms and control the heel pain. Icing is especially helpful after an acute exacerbation of symptoms. The most common ankle sprain occurs on the outside or lateral aspect of the ankle. The lateral ankle is supported by a group of three ligaments called the lateral collateral ligaments. The anterior ligament is the ligament that is most often injured in lateral ankle sprains. This ligament is called the anterior talofibular ligament (ATF). The anterior talofibular ligament (ATFL) and the calcaneofibular ligament (CFL) are sequentially the most commonly injured ligaments when a plantar-flexed foot is forcefully inverted. Inversion injuries of the ankle account for 40% of all athletic injuries. Isolated ATF sprains make up more than 75% of all ankle sprains. Following the ankle sprain, management of the acute injury is best summarized by the acronym RICE; R- rest, I- ice, C- compression, E- elevation. There are four ways available to manage an ankle ligament sprain/rupture. These are either to do nothing and simply wait for the ankle to settle. Secondly is to immobilize the injured ankle in a plaster cast for a period of 4-6 weeks, walking as comfortable. Thirdly, to use functional rehabilitation to treat the sprained ankle (a graded physical therapy program, often combined with a removable ankle brace). The final option is to operatively repair the injured ligaments. Do wear a brace during rehab. Do focus on “proprioception” or joint sense exercises. Don’t re-injure the ankle by returning to playing sport too soon. As soon as the swelling goes down and the ankle pain stops, I can return to playing sports again. By six weeks following an ankle sprain one should expect a 90% chance of being back to a good level of function. However, it is likely that at this stage following an ankle sprain you are likely still to have some residual symptoms of pain or instability from the ankle joint. Even by six months following an ankle sprain there is still a 20-30% chance of suffering with some level of minor discomfort or instability from the joint. A broken ankle is also known as an ankle “fracture.” This means that one or more of the bones that make up the ankle joint are separated into pieces. There may be ligaments damaged as well. Ankle fractures occur in 184 per 100,000 persons per year. During the past 30 to 40 years, doctors have noted an increase in the number and severity of broken ankles, due in part to an active, older population of “baby boomers.” In 2003, nearly 1.2 million people visited emergency rooms because of ankle problems. It takes at least six weeks for the broken bones to heal. It may take longer for the involved ligaments and tendons to heal. “It can’t be broken, because I can move it.” False; this widespread idea has kept many fractures from receiving proper treatment. The truth is that often you can walk with certain kinds of fractures. Some common examples: breaks of the thinner of the two leg bones; small “chip” fractures of either foot or ankle bones; and the frequently neglected fracture of a toe. Foot drop, or drop foot as it may also be called, refers to a weakening of the muscles that allow one to flex the ankle and toes, causing the individual to drag the front of the foot while walking and to compensate for this scuffle by bending the knee to lift the foot higher than usual. While foot drop is a neuromuscular disorder that affects the nerves and muscles, it is not actually a disease in itself but rather a symptom of some other medical problem, possibly by a condition in the low back.The most common symptom of drop foot, a high step page gait is often characterized by raising the thigh up in an exaggerated fashion while walking, as if climbing the stairs. Typical treatments for drop foot include: foot drop braces/splints (orthoses), physical therapy, non-surgical treatments, drop foot surgery. Prolonged kneeling. Occupations that involve prolonged squatting or kneeling — such as picking strawberries or laying floor tile — can result in foot drop. Wearing a leg cast. Plaster casts that enclose the ankle and end just below the knee can exert pressure on the peroneal nerve. A neuroma is a growth or tumor of nerve tissue. It is a benign growth of nerve tissue frequently found between the third and fourth toes causing pain, a burning sensation, tingling, or numbness between the toes and in the ball of the foot. Bio-mechanical deformities, such as a high-arched foot or a flat foot, can lead to the formation of a neuroma. These foot types bring on instability around the toe joints, leading to the development of the condition. 27% of people who have this experience are in their fifties, 18% are in their forties, and 18% are in their twenties. 75% of people who have this experience are women. High heels should be avoided whenever possible because they place undue strain on the forefoot and can contribute to a number of foot problems. Resting the foot and massaging the affected area can temporarily alleviate neuroma pain. Use an ice pack to help to dull the pain and improve comfort. Myth #5: Anyone can wear flip flops. Clubfoot is a word used to describe a foot defect present at birth. The defect can be mild or severe, and it can involve one foot or both. The medical term for clubfoot is talipes equinovarus. There also are other milder foot defects that are not as severe as clubfoot. Clubfoot is one of the most common birth defects. More than 4,000 babies (about 1 in 1,000) are born with clubfoot in the United States each year (1, 2). Boys are affected twice as often as girls (1, 2). Mild foot defects are even more common than clubfoot. Babies are generally treated with non-surgical approaches. Most involve some form of manipulation, casts, taping and splinting. These approaches have greatly reduced the need for major surgical repairs, which were often associated with long-term complications, such as foot and ankle pain and stiffness (2). A baby with clubfoot should be treated by an orthopedic surgeon who is experienced in dealing with clubfoot and can discuss the various treatment options with parents. There is no way to prevent clubfoot at this time. However, pregnant women should not smoke, especially if they have a family history of clubfoot. (Smoking also increases the risk of having a low-birth weight or premature baby, as well as other pregnancy complications. Having Club Feet does not stop you from doing anything, I have found several celebrities / Famous People who were born with Club Feet or Club Foot, and have become very successful. Troy Aikman was born with what doctors call “Third Club Foot”, Troy was in plaster till he was 8 months old, then we wore special shoes till he was 3 years old, since he has not suffered from any form of Club Foot. Kristi Yamaguchi is a professional Figure Skater, Kristi Yamaguchi’s Club Foot was treated with Serial Manipulations / casting. Toe walking refers to a condition where a person walks on his or her toes without putting much weight on the heel or any other part of the foot. Toe-walking in toddlers is common. These children usually adopt a normal walking pattern as they grow older. If a child continues to walk on his or her toes past the age of three, he or she should be evaluated by a doctor. Up until the age of 3, this kind of behavior can be considered “normal” as children are learning to walk and do a fair amount of experimenting. What begins as a fun way to get around can turn into a habit, though, and a cause of concern for many parents. This habitual tippy-toe walking is referred to as idiopathic toe walking. Most cases of persistent toe-walking are familial or are simply secondary to tight muscles. Treatment may involve observation, physical therapy, casting or surgery. Toe-walking may indicate a neuromuscular disorder such as cerebral palsy or it could be a sign of developmental dysplasia of the hip or leg length discrepancy. Toe Walking in children can look cute but it is important to recognize that it could be a symptom of other serious issues. If it is consistent and persistent you should talk to your pediatrician about it and have your child examined for any complications or any potential impending medical problems. Avoid aggressively pushing your child into a flat foot position as this may cause pain and injury if you are not careful. Exersaucers and walkers have a double negative impact on infant development. They are marketed to parents as helping children learn to stand up and walk. However, the infant is placed in a semi-reclined position with their hips placed in a seated position. This is NOT the position children learn how to walk in. As well, the infant spends time in an extended knee and toes pointed (plantar flexed) position which does promote the negative response of Toe Walking. There are many people who have been life-long toe walkers with little or no complications. These individuals report that they remember walking on their toes since they were very young and that it seems natural and have been able to live normal lives.